The United States of America is among the most diverse and largest countries worldwide. It has so much diversity, political history and culture to offer and it boasts of tourist destinations that are plain amazing and unique ranging from sunny and sandy beaches, renowned eateries, natural wonders and skyscrapers it definitely ranks high for many tourists as seen on reviews and blogs. There are many main attractions in every state but there are those that are a must see. All these attractions put together, one is bound to have a fabulous vacation that is enjoyable too. Located in Washington DC, it is the president’s official office and residence. Visits to this amazing building have become restricted after the infamous 9/11 attacks. Tours are only available to 10 individuals per group and there must be an advance request made 6 months before. it’s found in Alaska’s interior and Mt. McKinley is found in it and it’s the highest in North America. The Park boasts of an incredible wilderness and wild inhabitants such as wolves, moose, caribou and grizzly bears. Known as the world’s gambling Mecca, its located in the middle of southern Nevada in a desert landscape. Las Vegas has plenty of casinos but this strip is home to many more. It has giant casino hotels that are lavishly decorated with detailed attention to create atmospheres that are fantasy-like. It is really famous with fun lovers and the nightlife there is overly vibrant. Comprises of tropical islands forming a long chain of 120 miles that curve around the Florida peninsula base. There are several bridges connecting them to the mainland. One spectacular bridge has to be the Seven Mile Bridge that’s been used as a famous film location. Is made up of a series of volcanoes that form the Hawaiian Archipelago. It’s the most active of volcanoes on Earth and has had 34 eruptions occur since 1952. Located between Ontario province and New York State it’s a spectacular natural wonder. It is made up of three falls namely Horseshoe Falls, Bridal Veil Falls and the American Falls. It attracts 14 million visitors annually and it’s the most toured attraction worldwide currently. This suspension bridge spans the Golden Gate which is the strait between Marin County and San Francisco. 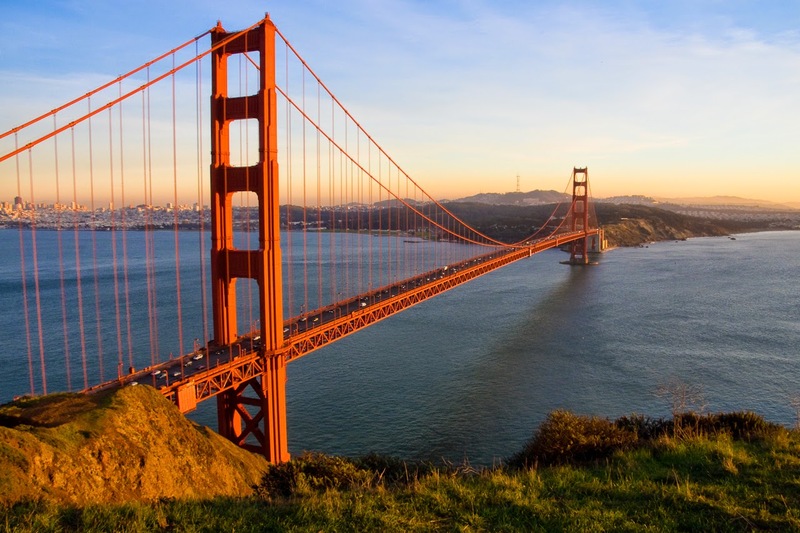 It is the longest span suspension bridge worldwide and is an international symbol of California and San Francisco. It is famous for its red-orange color that makes it conspicuous during thick fogs that frequent it. it’s known for familiar sights and its skyline. Its home to many skyscrapers, Broadway shows, the Statue of Liberty, the Empire State Building, Central Park, 5th Avenue and numerous great museums. This Northern Arizona attraction was carved many million years ago by the Colorado River and its depth runs over 1 mile/1.6km and 277 miles/446km long. The Yellowstone is yet another attraction worth mention and in order for one to be eligible to visit the US and see these attractions they must have an ESTA visas which provides visa assistance to visit USA. This automated system determines visitor eligibility and gives travel authorization to non-citizens.